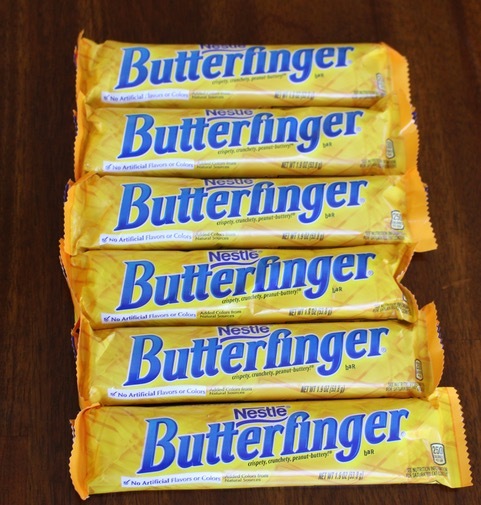 I love Butterfingers. They are one of my favorite candy bars. 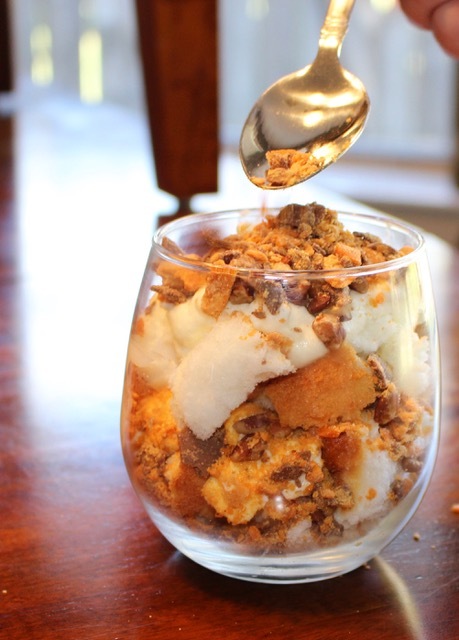 Years ago, I found a recipe in the Houston Chronicle Food section for Butterfinger Torte. I have made it as the recipe directs in a 13 x 9″ pan for many occasions. 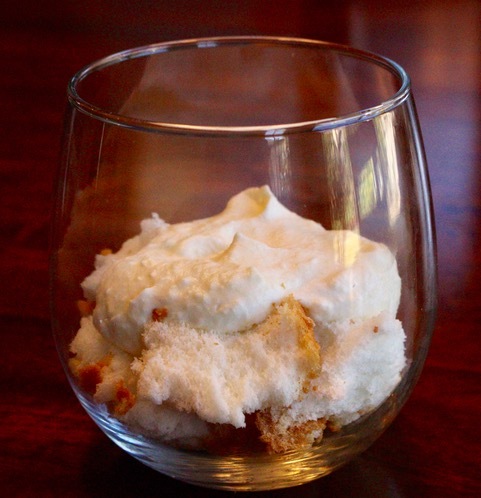 This time, however, I made mini versions of this delicious torte in my stemless wine glasses. 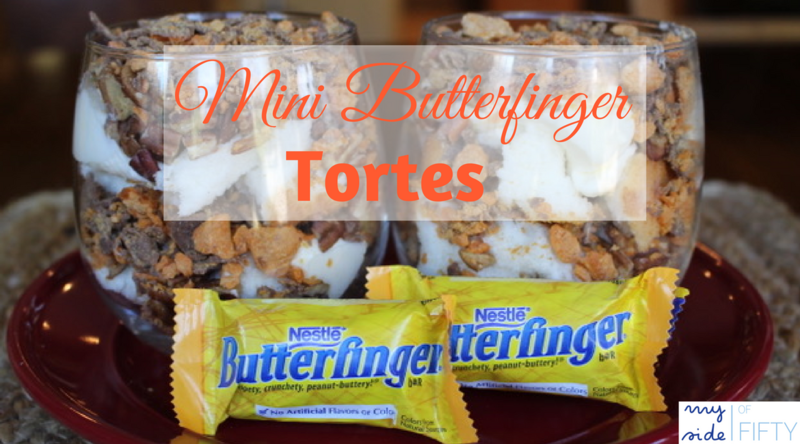 I think these Mini Butterfinger Tortes turned out so cute. And they are just as delicious. This recipe is so good – made with REAL “uber-fattening” ingredients like real whipping cream and real butter. There are no shortcuts, but it’s not hard or time consuming to make. And once you get it made, it is so addictive. I took it to my church small group’s potluck recently and after dinner, we put a big 13 x 9 pan of this delicious torte in the middle of the table so that everyone could serve themselves. We sat and picked at that thing all night while we talked… I thought someone (me) was going to pick that pan up and lick it! Whether you make it in one big pan or serve my “mini” version – it is sure to be a hit! I know you’ll love it! 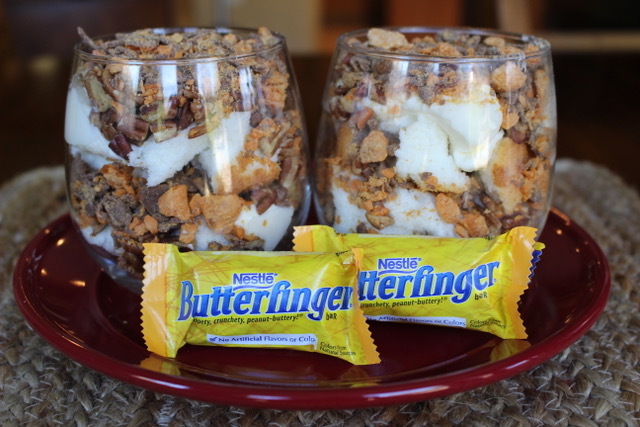 *By the way, this is not a sponsored post for Butterfingers or Butterfinger Baking Bits. 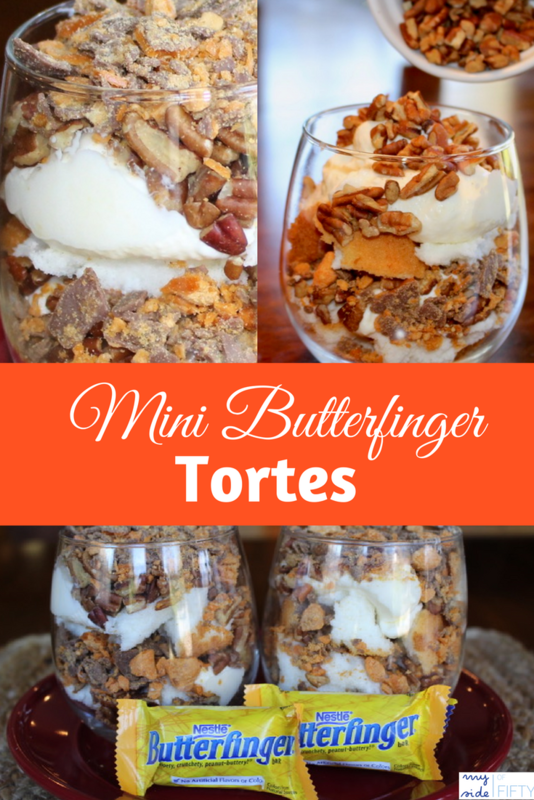 Just a yummy recipe from a Butterfinger fan! 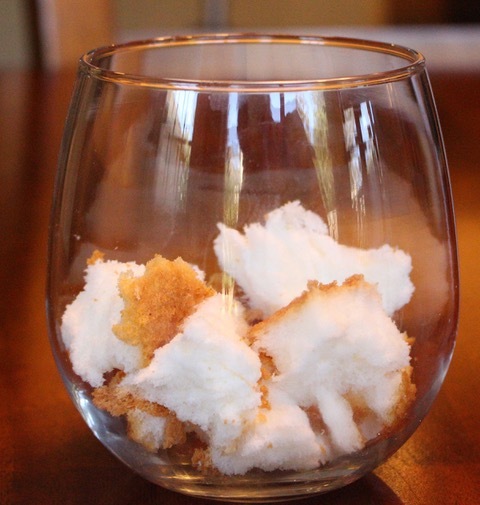 Tear the angel food cake into bite-sized pieces. 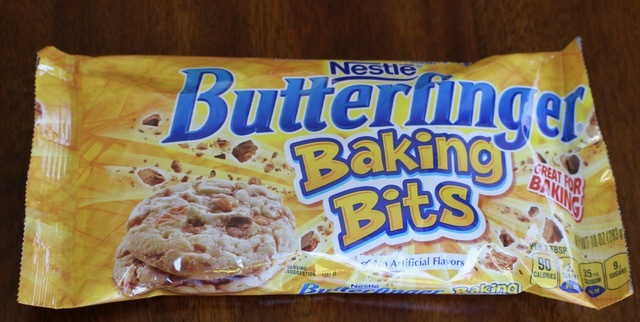 If using Butterfinger candy bars, break into pieces, put in a plastic bag and crush with a rolling pin. Separate the eggs. Save the yolks. Discard the whites. 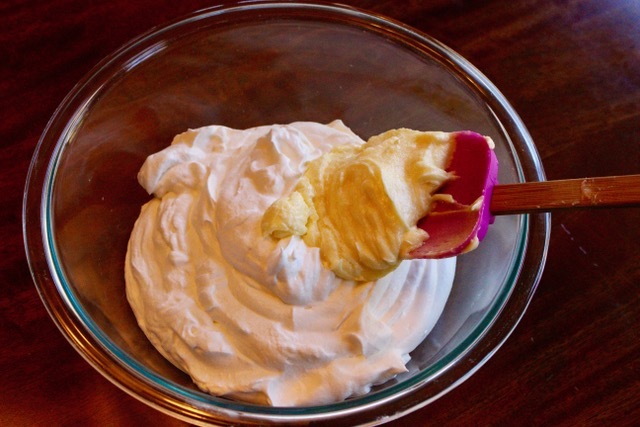 Fold butter mixture gently into whipped cream until combined. Mix together butter, egg yolks, powdered sugar, and vanilla. Repeat layers. Cover with plastic wrap and refrigerate. I’d be honored if you pinned this post! Pin it! Oh, my! This looks delicious. 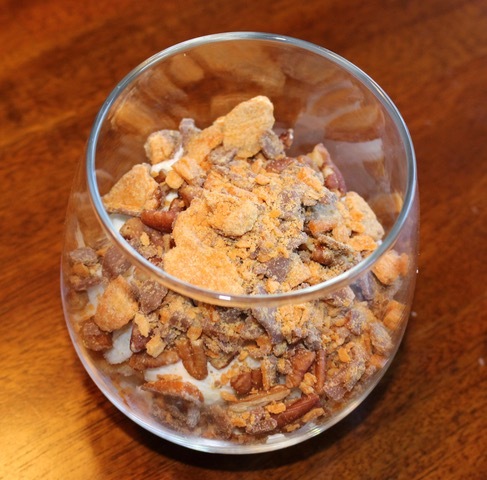 Though I’d leave out the nuts… so my husband would eat it. Otherwise I’d gobble it all and surely regret it when my jeans don’t zip. Lisa – you don’t need the nuts! 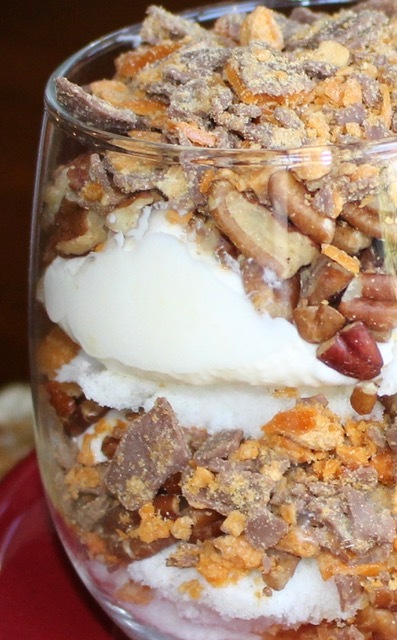 There are enough yummy things in the recipe – you wouldn’t miss them a bit! It is sounds so delicious. I wanna eat it right now. That’s for my sweet baby. Thanks for sharing. 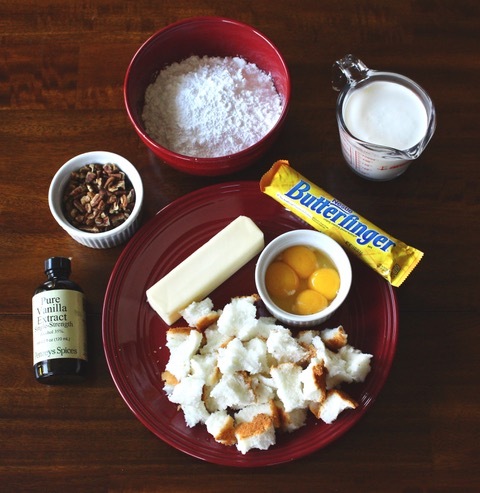 Amazing blog i love the butter finger thanks for shearing. Divya – Butterfingers are one of my favorite candies too. 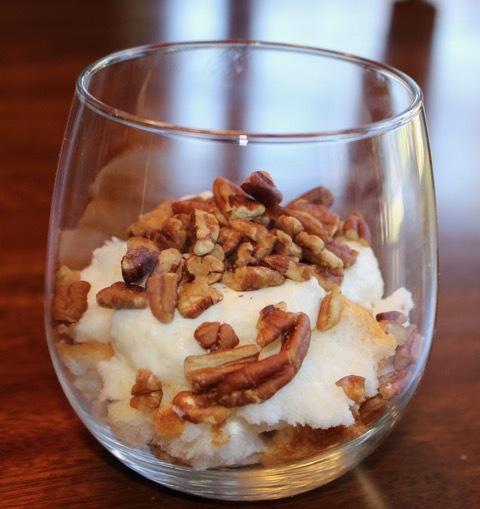 If you love them like I do, try this dessert. It’s heavenly! My mouth was filled with water while reading your awesome recipe. I must say you are expert cook. Going to try this soon. Keep posting these kind of recipe in future too.